The course is Godzilla: Atomic Creatures. Spenser McGuckin sits with 15 undergraduates as Joanne Bernardi, an associate professor of Japanese and of film and media studies, discusses cult movies featuring the mythical Japanese sea monster. Wearing a blue Rochester hoodie, orange shorts, and neon Nike Hyperdunk sneakers, McGuckin fits right in. The 19-year-old is auditing the class as a second-year participant in the University’s TOUR program. TOUR stands for Transition Opportunities at the University of Rochester. It’s a program for young adults of ages 18 to 21 with intellectual and developmental disabilities. In addition to participating in college courses, the students are immersed in vocational training, internships, transition and independent living education, and social activities on and off campus. The program’s long-term goals are competitive employment, an increased sense of community, and improved life skills. The 2015 graduate of Pittsford Mendon High School, about 10 miles southeast of the University, has enjoyed the full college experience at Rochester. While on the River Campus, he eats lunch in the dining halls and studies at Rush Rhees Library. During the 2015–16 academic year, he took an introductory geology course and an art history class. By spring, the once-shy teenager was giving campus tours to other prospective TOUR members. 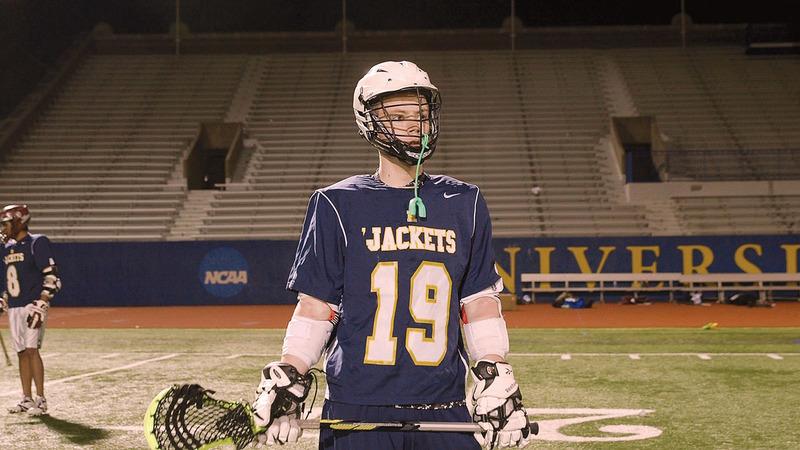 He also was playing lacrosse, a sport he had never tried before, as a way to make friends. TOUR is a partnership that joins three separate entities, each with distinct roles. The Rochester Center for Community Leadership—located on the River Campus and part of Arts, Sciences & Engineering—coordinates academic access and peer mentorship support for TOUR students and serves as liaison between TOUR and University faculty members. Monroe One BOCES—part of the Board of Cooperative Educational Services, a state program created in 1948—collaborates with the University to help meet some of the unique needs of TOUR participants. And the Institute for Innovative Transition—created in 2008 through a partnership between the University and the B. Thomas Golisano Foundation—plays a lead role in developing inclusive educational experiences that meet the needs of teens and young adults with intellectual and developmental disabilities as they transition out of high school. “Our goal is to raise awareness about the issues related to students with disabilities who are moving from school into college, employment, and life,” says Martha Mock, director of the institute and an associate professor at the Warner School of Education, where the institute is located. The institute serves a statewide population and has received more than $2 million from the Golisano Foundation and $7.5 million in federal and state grants since its inception. 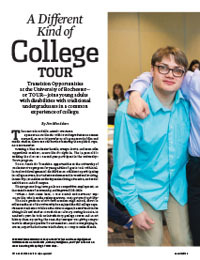 In 2010, a five-year, $2.5 million Transition and Postsecondary Programs for Students with Intellectual Disabilities grant from the US Department of Education helped fund TOUR as well as similar programs at other colleges and universities, including Keuka College, Roberts Wesleyan College, and Monroe Community College. Meg Grigal is a national expert on inclusive higher education and transition for people with intellectual and developmental disabilities. She’s also principal investigator for multiple research grants at Think College!, a national organization based at the University of Massachusetts–Boston. During the 2016–17 academic year, 25 participants—18 men and 7 women—were enrolled in TOUR. The students are referred to the program by their local school districts, which also pick up costs associated with the students’ participation. For many TOUR students, weekdays start at 8 a.m. in Meliora 221, where BOCES special education teachers Amy McCarthy and Christine Walker teach them independent living, social, and life skills. On a cold morning last winter, the subject was choosing a safe smartphone app to manage personal budgets. Walker invited Kayla Hawkins, a 20-year-old student in her second year in the TOUR program, to the front of the room before two large Smart Boards that detailed a specific phone app’s functions. “Would you use this app?” Walker asked Hawkins. Hawkins, a native of Tampa, Florida, moved with her family to Rochester a few years ago and took American Sign Language courses this past academic year. Hawkins worked in a Warner School office as part of the program and says TOUR has allowed her to feel more confident on the job. “I’ve gained independence and manage my time better,” she says. Each student in the program partners with a traditional undergraduate student who serves as an academic coach. The coaches audit a University class chosen by the TOUR student, sit through each class, and discuss it afterward. It’s a paid job, but the money isn’t the real reward. All new academic coaches must take the class Creating Inclusive Campus Communities: Disability, Mentorship, and Inclusive Higher Education. 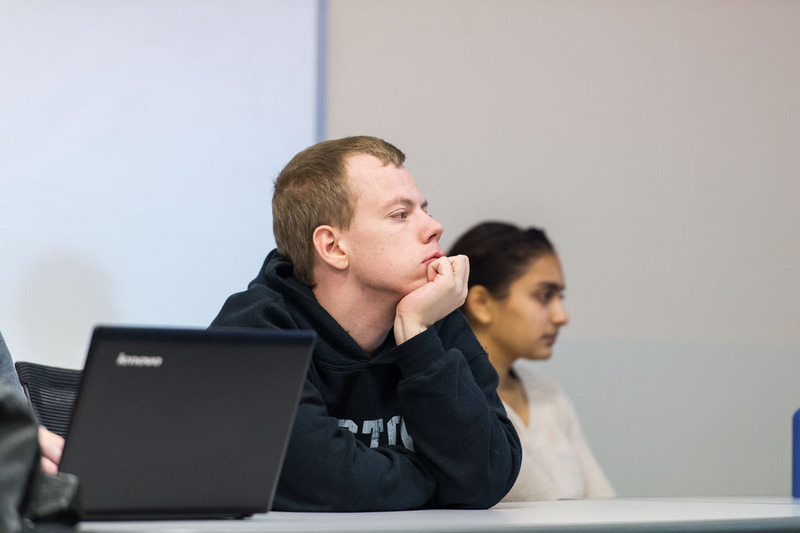 Taught by Lewis and offered through the College, the course familiarizes students with the history of disability, its shifting meanings, and how people with disabilities experience their lives. The emphasis is on demonstrating the ways in which so-called disabilities might be more appropriately considered forms of diversity rather than as deficits measured against an elusive norm. 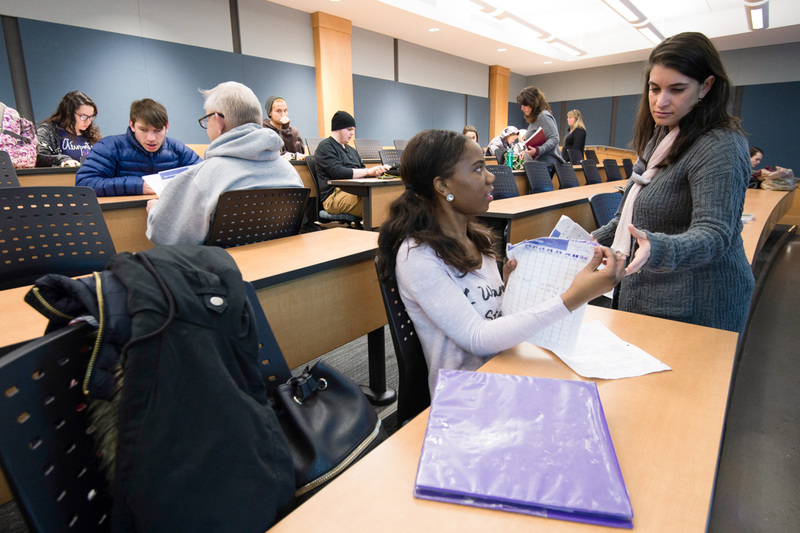 MaryAnna Krewson ’16 worked with five TOUR students in three years as an academic coach. The Schenectady, New York, native, who graduated with degrees in psychology and American Sign Language, made a point of introducing TOUR students to her friends. “I wanted to get them chatting with peers outside their usual circle,” she says. Krewson’s interactions with TOUR students weren’t limited to the courses taught. His mother, Meg Mackey, agrees that his social skills—an area of difficulty for many people on the autism spectrum—have improved dramatically. This fall will mark a milestone for McGuckin. Having completed two years in the TOUR program, he’ll enroll in an internship at Wegmans Food Markets, a Rochester–based supermarket giant with more than 90 stores in six states on the East Coast. Wegmans runs the internship program through Project SEARCH, an international organization founded by Cincinnati Children’s Hospital Medical Center that facilitates on-the-job training for young adults with intellectual and developmental disabilities. Funding from the Golisano Foundation has helped launch Project SEARCH partnerships not only with Wegmans, but also with other private companies, the Medical Center, and the City of Rochester. 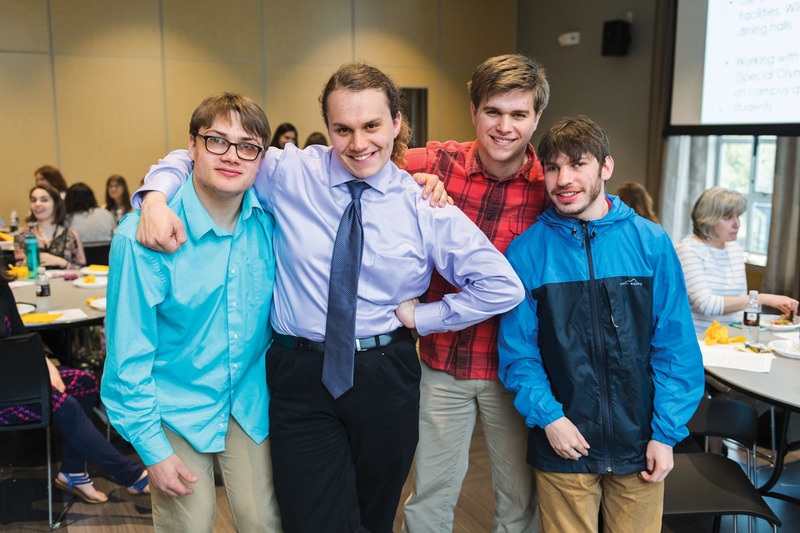 The University’s Strong Center for Developmental Disabilities serves as the state coordinator for the organization, helping support and advocate for 20 programs across New York. Since its implementation in Rochester in 2010, more than 100 students have graduated from Project SEARCH and more than 55 percent have successfully transitioned into competitive employment, working at least 20 hours a week and earning minimum wage or better. McGuckin will have the opportunity to work with employees in a variety of roles at Wegmans, from cashier, prepared foods, the bakery, health and beauty, and stocking. For now, McGuckin works part time in the cafeteria at Highland Hospital and serves as an usher and soup kitchen volunteer at his church. His dream is to become an emergency medical technician. Reflecting on McGuckin’s TOUR experience, Lewis says he exemplified TOUR’s mission. “He took courses, immersed himself on campus, and was just genuinely interested in all the University has to offer,” she says. Mock points to strong evidence that the TOUR program is making a big difference. She cites a national study conducted by researchers at the University of Massachusetts–Boston. It found that the employment rate for students with intellectual disabilities and autism who were exiting high school was, on average, 18 percent. But for those who take part in an initiative like TOUR, it’s 40 percent. “That’s more than double,” she says.